Do you want a need way to assess you students in the classroom? Have you heard of Kahoot? “Kahoot! Is One Of The World’s Fastest Growing Learning Brands. Loved In Over 180 Countries, Our Free Game-Based Platform Enables More Meaningful, Playful And Powerful Experiences, In Classrooms And Beyond. Stimulates collaboration and social learning. Engages the heart, hand and mind for deeper pedagogical impact. They call this connected learning. Zero setup time, no player accounts required and simple one-click gameplay. Create your own Kahoots in minutes or choose from millions of public ones made by our global community. Connect and play with others from over 180 countries in realtime. Works on any device with an Internet connection, in any language, for any subject or age group – from kindergarten to college and beyond. 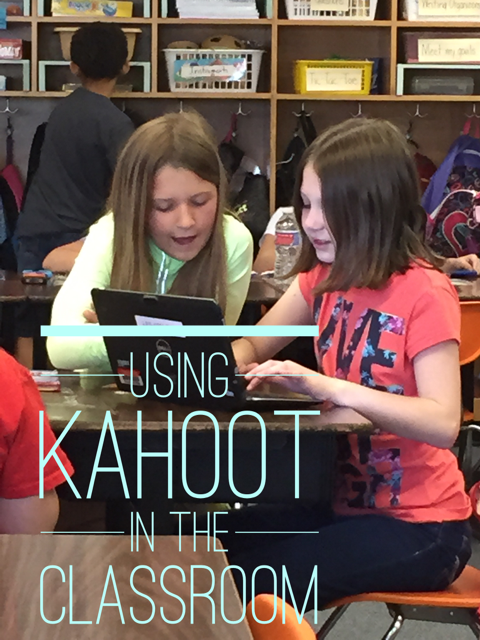 Kahoot is used all over the world to help assess a multitude of abilities. One can use it to engage while reviewing material, use it to have a pre-assessment before a lesson or used as an exit ticket to gauge if the lesson needs to be re-taught. For directions on how to get started creating and playing Kahoot!, see the linked Professional Development page. Here you will find directions on how to create an account, how to search, save and add to your favorites from the public Kahoot resouces, create your own Kahoot, and play with your students.